Exceptional cake, just heavenly. Light as a feather - both the cake and the whipped coffee cream. Definitely brings tiramisu to mind. My ganache didn’t quite drip down the sides like the one in the cookbook, I’ll have to work on that technique. Still, it wound up looking beautiful and tasting even better. One of my favorite cakes I’ve ever made. I'm in the mountains so I'm not sure if this made a difference in cooking time - but my cake was done in 20 minutes. So be aware that 30/35 minutes may be too much. I made an almond cream instead of pistachio - and it was really delicious - everyone including our guests loved it - and asked to take a slice or two home - a sure sign of a winner. A stunning book filled with show-stopping cakes with European touches. For Tatyana Nesteruk, who was born in Ukraine, baking has always been a huge passion. 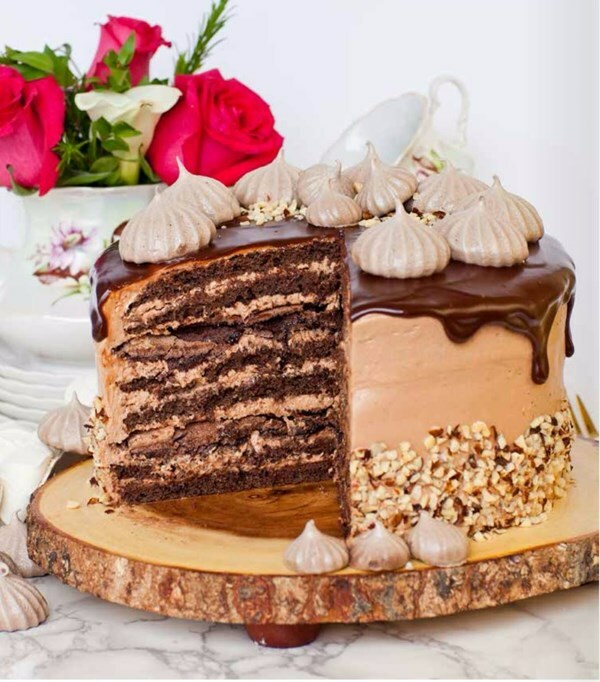 Her blog, Tatyana’s Everyday Food, has gathered a large following of dedicated readers who especially love her extravagant and unique cakes. 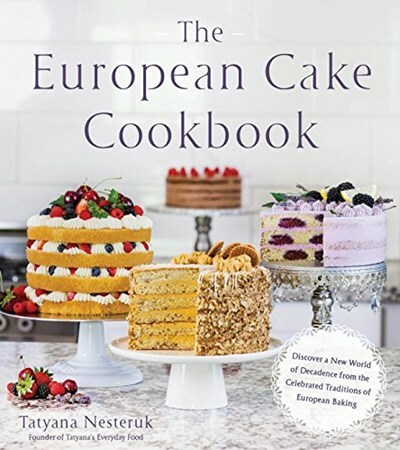 In her debut cookbook, Tatyana draws on her family roots to take readers on a delightful baking journey throughout Europe to learn the stories behind each region’s iconic cakes, flavors and techniques. With so much variety of rich, dense cakes and lighter, more delicate creations, avid home bakers will find endless inspiration. Eastern Europe features moist cakes with creamy fillings such as Chocolate Kievsky Torte, a decadent cake with layers of chocolate sponge cake and hazelnut meringue. Western European delicacies are light and elegant, inspired by French pastries such as Strawberries & Cream Crepe Cake or Crème Brulee Cheesecake. 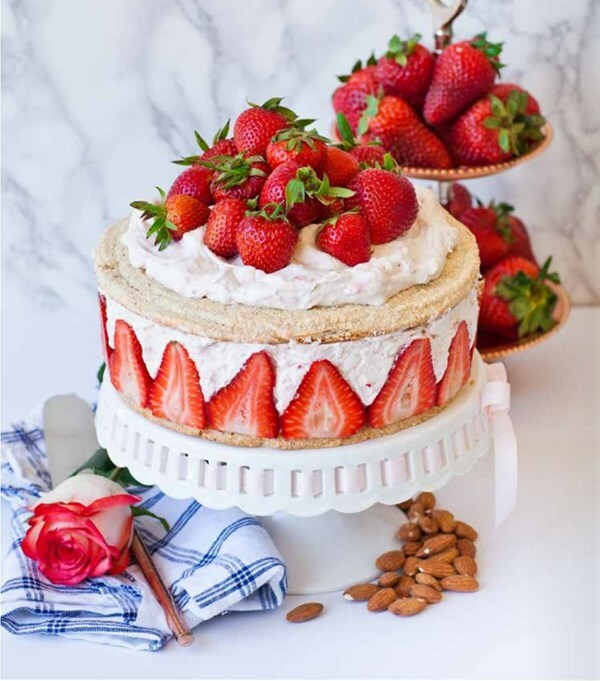 Then there are the Southern-inspired cakes featuring tiramisu, cheeses and fruits; Central indulgences including hearty, dense chocolate cakes and velvety bundts; and finally Northern treats that are soft, buttery and perfect to accompany afternoon tea. Explore the rich history and flavors of Europe--and even pick up a new skill or two--with the fabulous cakes from this inspiring cookbook.